It’s no secret that I am a hackathon evangelist. Since attending my first hackathon, GovHack, in 2014 I have been fascinated by the adrenalin rush and have followed the holy grail of hacks for 18 months. As my friend, Nicole Williamson , says – I’ve ‘drunk the kool-aid’. It seems to me that I’m not alone, everyone wants to run a hackathon to solve some problem, all great but do we actually have the right design? It depends on the intention of the hack – is it awareness raising or focused on delivering an outcome? If the latter what is the design ? In my experience, most hacks are about raising awareness of the potential of tech, open data and startup, GovHack an outstanding example of this has a clear purpose and it is gaining momentum, in 2015 attracting 1800 participants across Australia and New Zealand. A recent article in TechCrunch, “Hacking the Hype: Why Hackathons Don’t Work”, Anjali Sastry from MIT and Kara Penn present a valid argument about the lack of parameters and market success, they say that hackathons “are divorced from reality… and sit in a vacuum”. I would argue that it depends on the purpose and design of the hack. 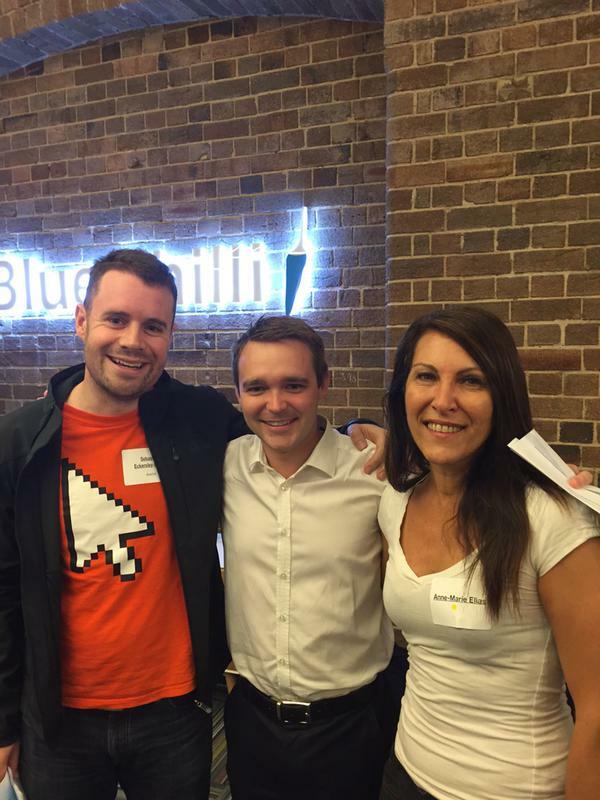 For 18 months I have been to almost every hack in Sydney – Health Hack, Food Hack, BattleHack, GovHack, Random Hacks of Kindness, SheHack and various other social enterprise hacks, start up hacks, competitions. I love everything about them, the random way the teams form, the focus and passion, the meeting of minds, the collaborative alchemy and the volunteers who give up their weekend to mentor and support the hackers. Like Sastry and Penn, I have seen that the biggest flaw is the lack of sticky outcomes and longevity beyond the hackathon itself. I have loved the ideas so much that I often search the hack website to see what happened, and apart from the winners and entries there is no information on whether any of the ideas came to life, because at present there is no structure for the winners to go to the next stage and create a startup. To some degree, I think people have misunderstood the intent of hackathons. So I feel it time to explore what a hackthon really is. Firstly, I think that Hackathons serve a purpose to educate and inspire the community about civic hacking, a tool to leverage open data, get people together and have fun. Hackathons are largely run by volunteers – mostly, the end game is a hackathon – not a new product. Secondly this is not a long term relationship – it’s a one to three night stand where you are dedicated, immersed for 24-72 hours, and when it’s over, like adults, you say thank you and part ways till the next hackathon. Finally, their design is an event and competition that uses design methods, UX and lean canvas to rapid prototype MVPs. At the end of the day there isn’t an end game of get this product to market, at least, not at the hacks I’ve been to. Deconstructing this means that, on the whole, it seems to me that hackathons are more about awareness and outputs than process and outcomes. Despite the countless great ideas and MVPs, very few see the light of day beyond the euphoria of the awards nights. Like a one night stand, you don’t get to go dating after the event and keep working at it. That doesn’t have to be the end of the matter. I have been developing a social design hackathon, where we mitigate the flaws of hackathons by securing an outcome. I recently had the privilege to work alongside Nicole Williamson and Annie Parker on the design of TechFugees Australia (a hack for solutions to refugee settlement). I was lucky to be part of a team that believed in the idea of a social design hackathon. Dedicated team connected and determined to see outcomes. For TechFugees Australia, we partnered with Settlement Services Internationaland STTARTS, NGOs who provide settlement and counselling services to refugees, and the local council. A few weeks after TechFugees Australia, I can report that the winning team, Goalify Oz, have met with Pollenizer (mentor and incubator). The Mayor of Liverpool, Ned Mannoun committed to supporting a second app called Arrival Hub. I will be meeting with the Council and NGOs to develop a plan on post hack next steps, and our team is looking to connect the solutions (11 solutions came out of the hackathon) to potential investors, funders and mentors. It has been a lot of work pre and post hack to ensure the hackathon delivered outcomes. We have a way to go before we can do a victory dance that solutions have gone to market, but I do believe that we have created the first hack that is co-designed with the beneficiary and partnered with potential customers. While far from perfect, the design has at least started to set the prize as incubation to launch of the product. It got me thinking, what would it take to make hackathons even more effective? I believe that we need a place for those that have the great idea, to go to further and scope the idea’s potential. We need a post hack incubator so that the MVPs cobbled together during the hackathon can attract mentorship and advice on developing, testing and validating the product, getting a team and accessing an customers and with potential investors. A post hack incubator would be that place in between the hackathon and the co-working space – that place where you are not quite ready to quit your day job but where you can go evenings and weekends to access resources and support to take the solution to the next level. I am proud to have a network of people who are committed to designing hackathons with outcomes and who are driving a new narrative for how we design and deliver hackthons with impact. It is important for the future of hackathons, as Sastry and Penn pointed out in TechCrunch, to design them differently. I believe we are getting closer with partnership and co-design as the central feature of hackathons for purpose. Would love to know your thoughts ?